TJN has written plenty on the subject of how jurisdictions obtain and transmit information between each other for tax purposes. 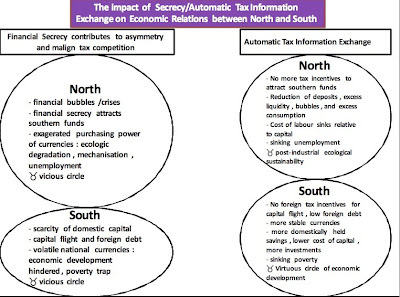 The OECD is pushing its extremely weak “on request” form of information exchange, while TJN and its partners support the far better and stronger alternative, automatic information exchange. TJN now presents a new briefing paper, written by Markus Meinzer, which explores the intricacies of automatic tax information exchange. In order to raise awareness and remedy the apparent lack of information about and understanding of AIE, TJN is starting a precedent case project. Ultimately, its aim is to accompany a small group of developing countries applying for the extension of the automatic information exchange mechanism under the EU-Savings Tax Directive or another international legal instrument that results in a similar AIE-mechanism. We have started informal contacts with a number of stakeholders, and this paper is an early stepping stone in this process and seeks to comprehensively introduce policymakers in North and South and civil society organisations to the subject, before beginning. As the readers of this blog will be aware, the OECD together with its so-called Global Forum on Taxation is currently on a mission of hypocrisy. 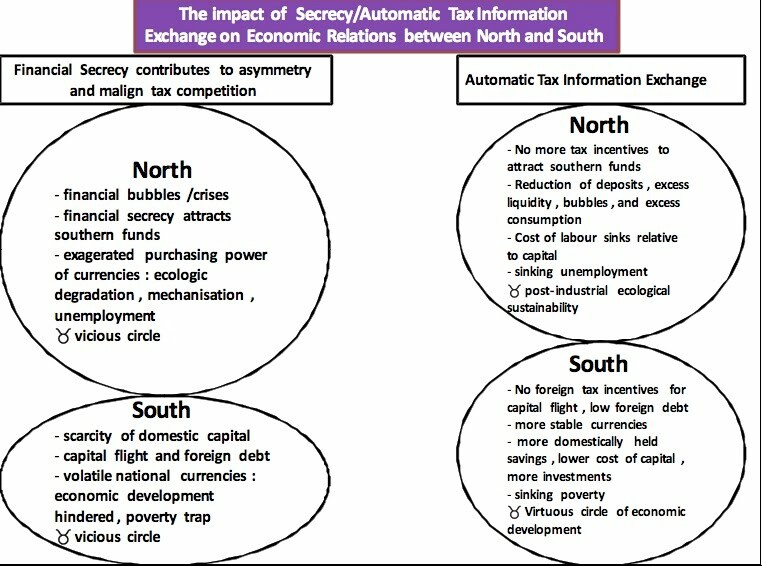 While OECD countries practice automatic tax information exchange among themselves, they are preaching to developing countries that they need to sign next-to-useless bilateral treaties with OECD countries and other secrecy jurisdictions. The reason for this is brutal power politics. As this paper shows, OECD countries feast on billions of US dollars being deposited in their banks by wealthy elites in developing countries. The OECD’s on-request tax information exchange standards that are being pushed onto developing countries helps perpetuate this situation by providing the appearance of transparency, while delivering almost nothing. OECD governments appear to be afraid of the outflow of funds should developing countries be given the same level of cooperation on tax information as they grant each other through mechanisms such as the EU Savings Tax Directive. But they seem blind to the potential ill effects that these huge illicit inflows may have on their own societies. The graph (click to enlarge) provides some useful pointers.